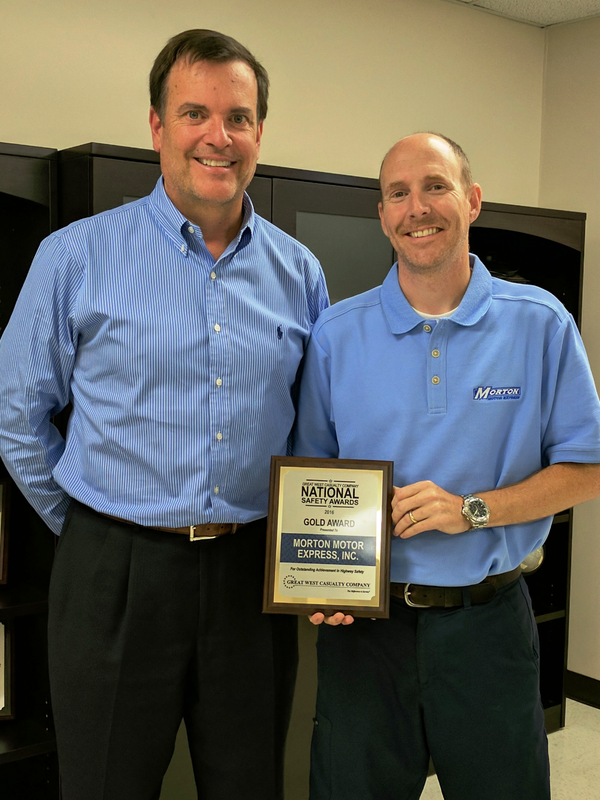 May 19, 2017 - The National Safety Awards program recognized Morton Motor Express, Inc with the National Gold Award for Outstanding Safety for Motor Carriers of similar size. The award was presented to Jason Thomason by Neil Cox of Arthur J. Gallagher as a representative of Great West Casualty Company. Morton is expanding our Intermodal Division from the Port of Wilmington, NC. We are currently looking to fill a number of Regional OTR Driving positions in Greensboro, NC. If you are looking for a career with competitive pay and benefits, home every weekend, and appointed delivery times in the Southeast, click here to begin.